Unlike regular passenger cars, trucks, and SUVs, transit buses require an alternator that can sustain a large electrical output. Not only does a car rarely sit at idle for long periods, the electrical load needed to satisfy the car’s output during idle is not substantial enough to warrant a high output alternator. Westek buses, on the other hand, require electrical power to operate chair lifts, special lights, dashboard controls, bicycle lifts, and more. These buses come with a stock high output alternator that easily fulfills this need. When it is time for a Westek replacement alternator, however, it may be time to consider other options. The high output alternator installed in a Westek is also high RPM. This means that, when the engine sits at idle, its revolutions per minute are higher. In the long run, this uses more gas, puts unneeded strain on the engine, and wears out the alternator and battery. An alternative to the high output, high RPM problem is an Eco-Tech alternator. 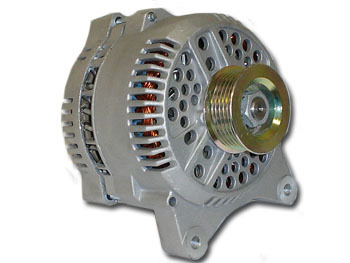 With magnet technology, these special alternators work much better than a stock or OEM Westek replacement alternator. When directly compared, a Westek replacement alternator may sit at 2,000 RPM, while the Eco-Tech alternator requires only 1,800. Additionally, alternators that claim to be rated high Ampere typically only produce 85-90 Amperes at idle, while an Eco-Tech alternator delivers three times that number. A switch to Eco-Tech also eliminates the need to install extra components on a transit bus. 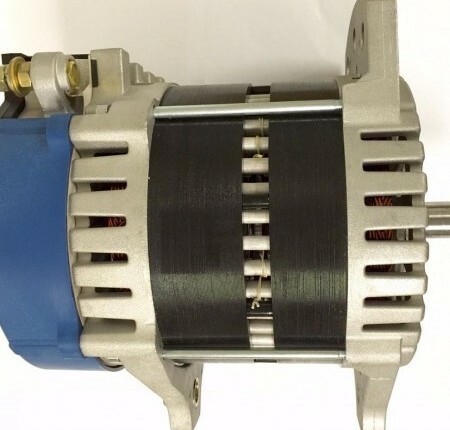 With these high output alternators, sometimes companies must install multiple battery packs, load shedding devices, or high idle devices on their transit buses to keep things running smoothly. An Eco-Tech alternator requires none of those. The most important thing to keep in mind is that an Eco-Tech alternator reduces the fuel penalty by 52 percent. Not only will you save thousands in gas every year, these alternators are much more environmentally friendly, rendering Eco-Tech the obvious choice.